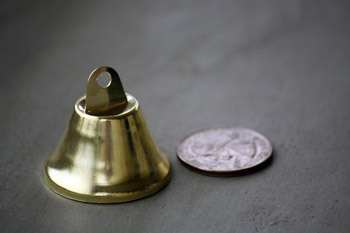 Our craft bells and small bells make the best projects and decorations! 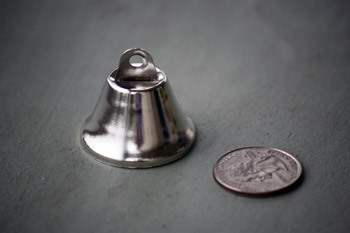 Bell Outlet sells craft jingle bells, mini cowbells, liberty bells, and more! 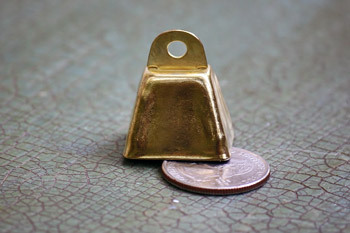 Be spontaneously crafty and buy a supply of quality bells for crafts! Kissing bells are a fun way to display seating arrangements and other information for guests at weddings, parties, and events. 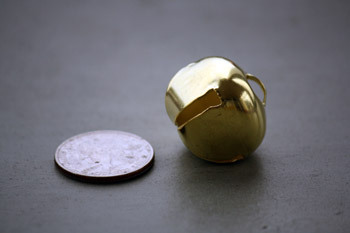 Visit our kissing bell page for fun ideas. 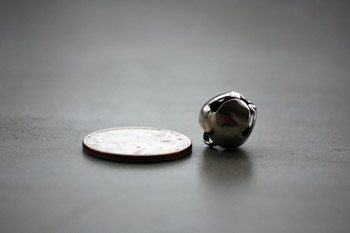 You can sew tiny bells into clothing! Add music to your wardrobe with a few tiny bells stitched into the lining of dresses, boots, hats, and more! 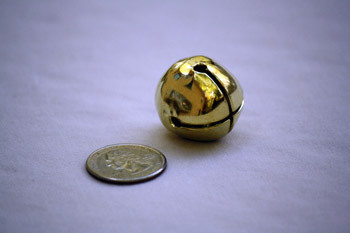 Jingle bells are perfect for Christmas outfits and decorations. See our jingle bells, colorful bells, and tiny bells. Bell wind chimes are a fun and musical project. A few bells can be strung together to make a unique wind chime. Hang it up outside for outdoor decoration and music. Make your own baby mobile with bells! Your baby will love shiny, colorful bells that make beautiful sounds. Entertain your baby for hours and drift off to sleep with a homemade baby mobile with craft bells. 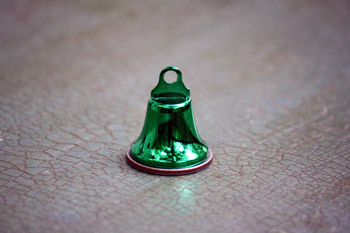 Bells make great Christmas ornament crafts! 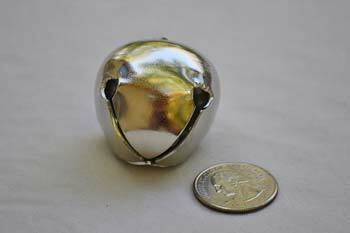 We have a variety of beautiful bells that can be crafted into Christmas bell ornaments. It can be as simple as tying ribbon to the loop and hanging from the Christmas tree. 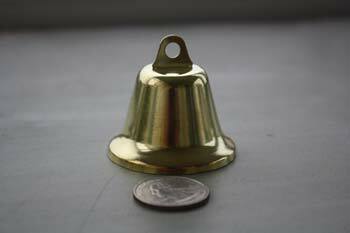 View bells on our Craft Bells Page, Christmas Bells Page, and Wedding Bells Page. 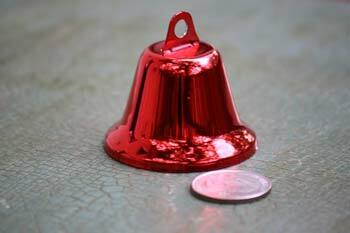 Jingle bells are a must have for Christmas craft projects. Add them to wreaths, garland, stockings, sleighs, and trees. 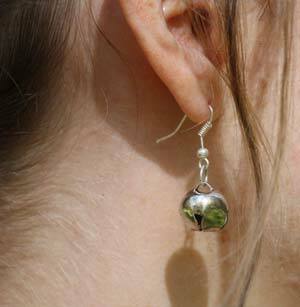 See our jingle bells on our Christmas bells page here! 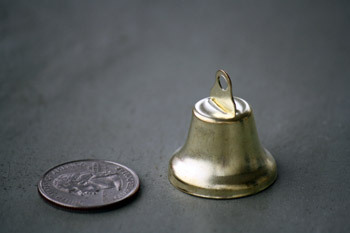 Liberty bells are perfect for celebrating the 4th of July! They make noise and shine with pride. Make clothing, decorations, and items for the 4th of July with Liberty Bells! 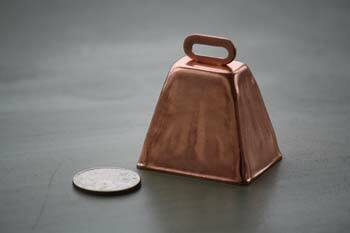 Easter is another holiday where bells make the perfect decoration. Hang them for fun. Hide them with eggs. Give them as gifts! Bells are always appreciated when shared. 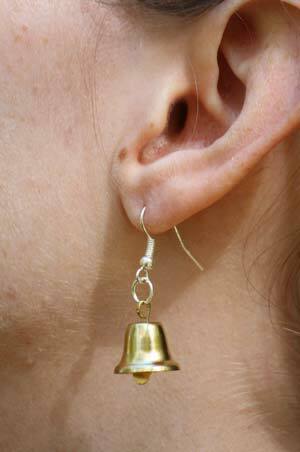 Make bell earrings with a few tiny bells and earring findings. These earrings are beautiful and one of a kind, adding music to your jewelry collection. 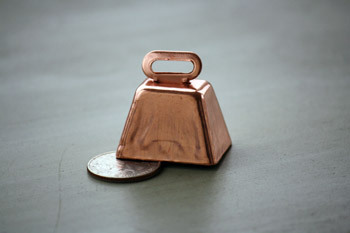 Use these tiny bells and/or jingle bells. Mix and match too! Dont throw away a perfectly good earring just because you lost the other. 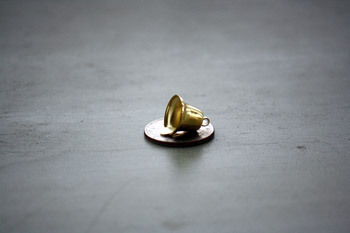 Complement it with another lost earring or homemade bell earring! 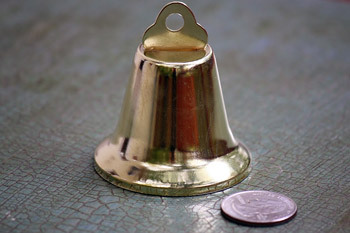 Make a kitty collar or doggy collar with a craft bell! Jingle bells are perfect for putting on a cat collar. 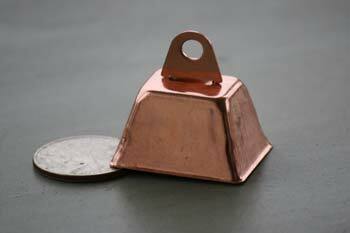 Alert small animals to her presence with a simple bell and loop. 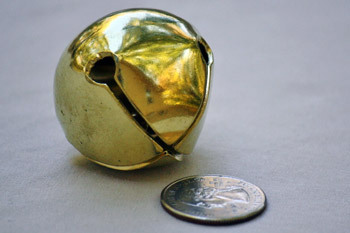 Put a bell on your dog's collar to know where he is and what he is getting into. Bells can be put on all kinds of animals! 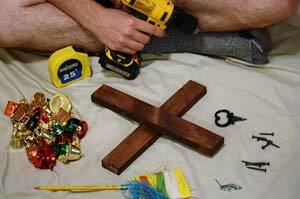 Make a musical instrument with bells. This is a fun project for kids. 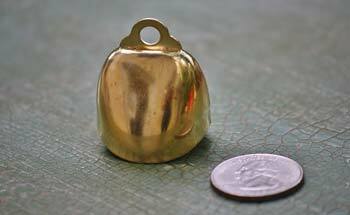 All our bells make unique sounds, so check out the videos that go along with them. And click here to view our Jingle Bell Crafts For Kids. Are you looking for a rainy day or holiday craft for the kids? Try making these cute and colorful jingle bell tambourines! Search the outside for two sturdy, forked sticks. These sticks should be easy to find in the yard, especially during autumn. Choose a few colors of acrylic craft paints. Be bold and go bright with oranges, yellows, greens and purples. Do holiday colors. Whatever catches your eye is best! Spread newspaper or cloth over a flat surface, then use a small paintbrush to paint the sticks. Be creative with your patterns. Rainbow or tie-dye patterns are simple and fun. After the paint dries, carefully cut two pieces of thin craft wire, one for each stick. 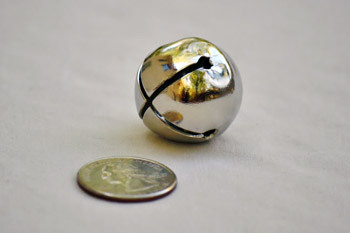 Thread several jingle bells or small bells onto each wire. Stretch the wires across the forked ends of each stick. Wrap the wire tightly, making sure no sharp ends poke out. Finally, choose a few colors of yarn to wrap tightly around the opposite ends of each stick to form a fun and colorful handle. TA-DA! You've made your very own bright and cheery jingle bell tambourine. Jingle away!
. You will also need a some loops and hooks, earring findings you can take from old jewelry or pick up from an arts and crafts store. Simply open the loops and string together the bells and hooks. Mix and match. Add your own flare. Make a few pairs and give them to friends! Celebrate new life with a homemade baby mobile! 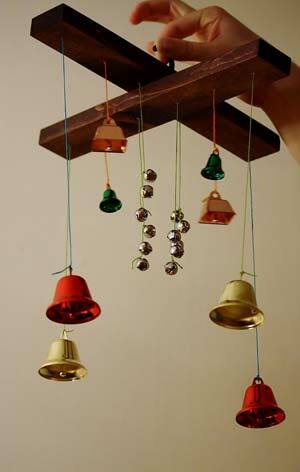 Easily make your own baby mobile with beautiful, ringing bells! 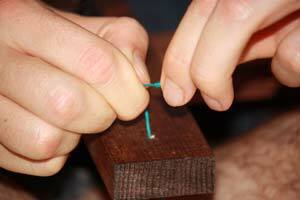 Attach the two pieces of wood in the center with at least two screws. 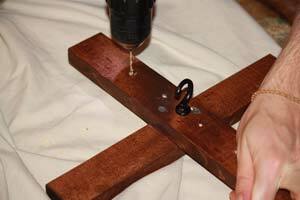 Drill a hole in the center of the wood to screw in the hanging hook. Then twist in the hanging hook into the hole. Drill more holes equal lengths apart in the pieces of wood. Thread different lengths/colors of string through the holes and tie large knots on the ends, preventing string from coming back through. Tie on craft bells in a unique pattern. Voila! You've made a beautiful, unique baby mobile! Hang it from another hook and chain. Your baby will be entertained for hours!